Born in Leeds in 1958, John Riley started playing piano from the age of two. His formal training was at Liverpool, Cambridge and St Andrews Universities. John has enjoyed a varied career, both within and outside of music, including 15 years as a teacher in charge of computer studies and music at Pilrig Park special needs school in Edinburgh. During this time he raised the musical profile of the school significantly, including several concerts with the School Choir at St Mary’s Episcopal Cathedral. John’s improvised accompaniments and compositions have also featured in School productions at the Edinburgh Festival Theatre. Part of a team of musicians at St. Paul’s & St. George’s Episcopal Church, Edinburgh since 1990, John has also acted as organist for numerous concerts and services at the Usher Hall and the Edinburgh Cathedrals. As organist and pianist, John has a particular interest in the art of keyboard improvisation. John’s recitals invariably contain improvisations on submitted themes or pastiches on ‘hidden melodies’. He has performed his improvisations at a number of major venues and festivals. These include:- Bavokerk, Haarlem, (Haarlem International Organ Festival); Örgryte Nya Kyrka, (Gothenburg International Organ Academy); Liverpool Anglican Cathedral. He has taught on numerous Oundle for Organists and Royal College of Organist Academy study days, together with Prospective Organ Scholars courses at Oxford and Cambridge Universities. 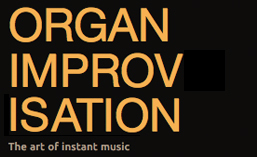 John has also acted as guest tutor on some of the annual London Organ Improvisation Courses. John has written series of articles on organ improvisation for Organists’ Review (2001) and for The Organ (2005) and a self-published improvisation tutor, ‘The Creative Organist’ (1999). A new book and CD tutor on organ improvisation is in preparation. Posted in Organist. Tagged bagpipe, Edinburgh, Elgar, hymn, John Riley, Kenneth Jones, London, Mozart, Musselburgh, Overture, Paisley Abbey, Scottish, St Fulbert, St Paul's Cathedral, St. Matthew's, style, Toccata, Vierne, YouTube.